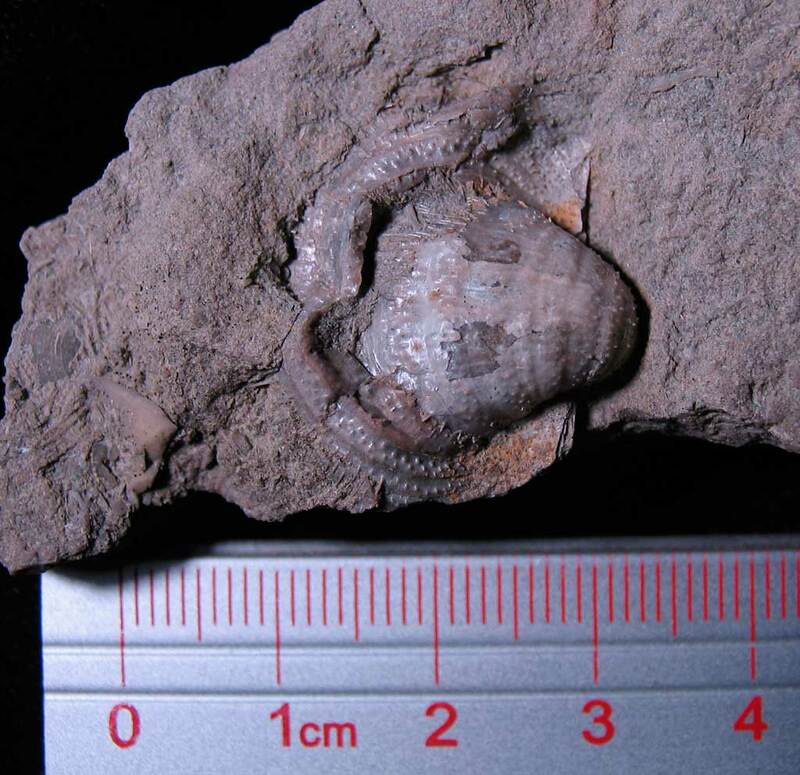 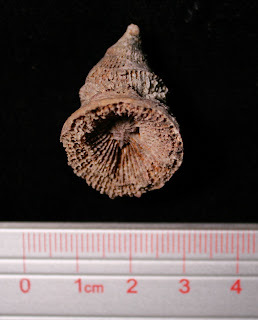 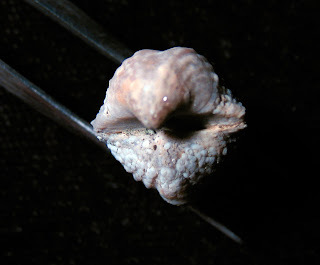 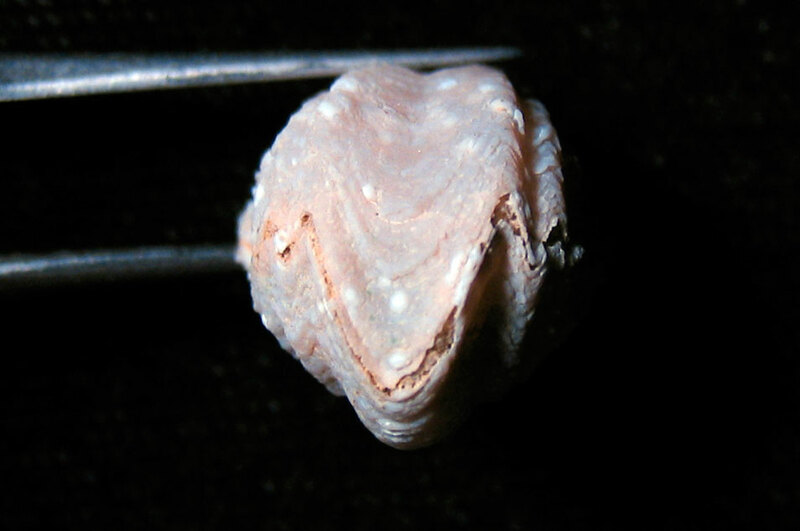 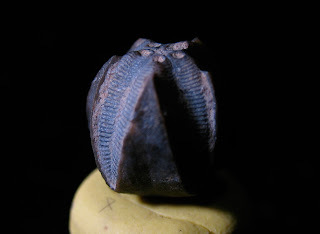 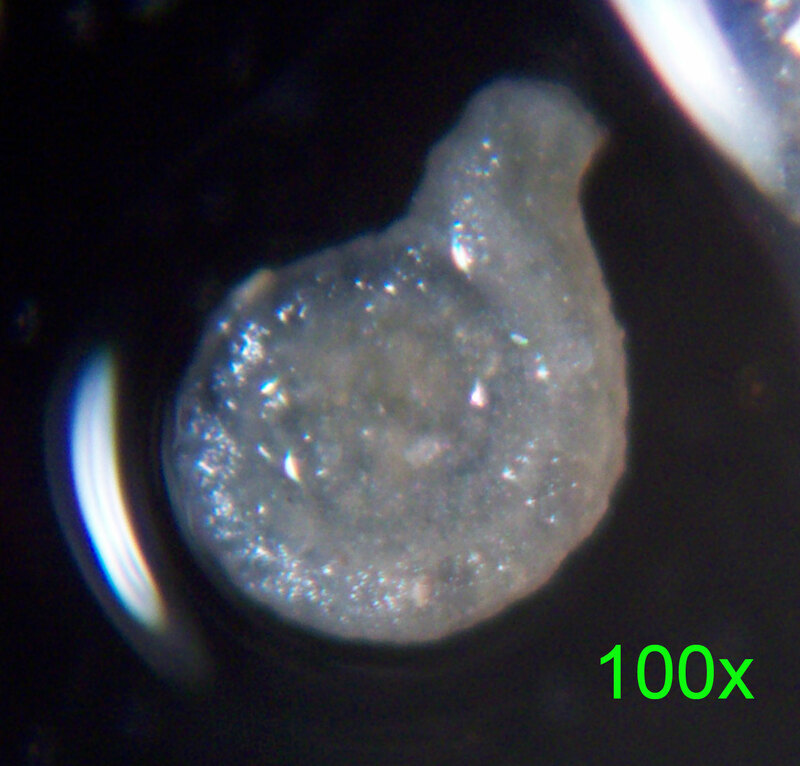 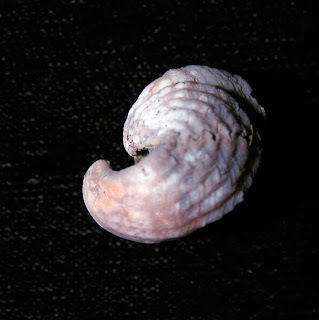 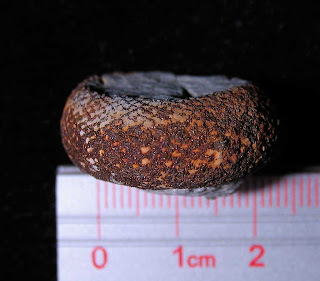 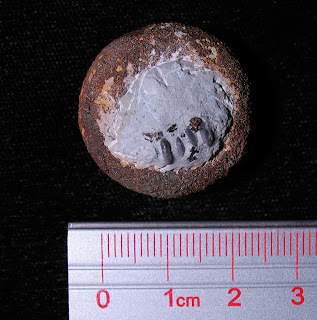 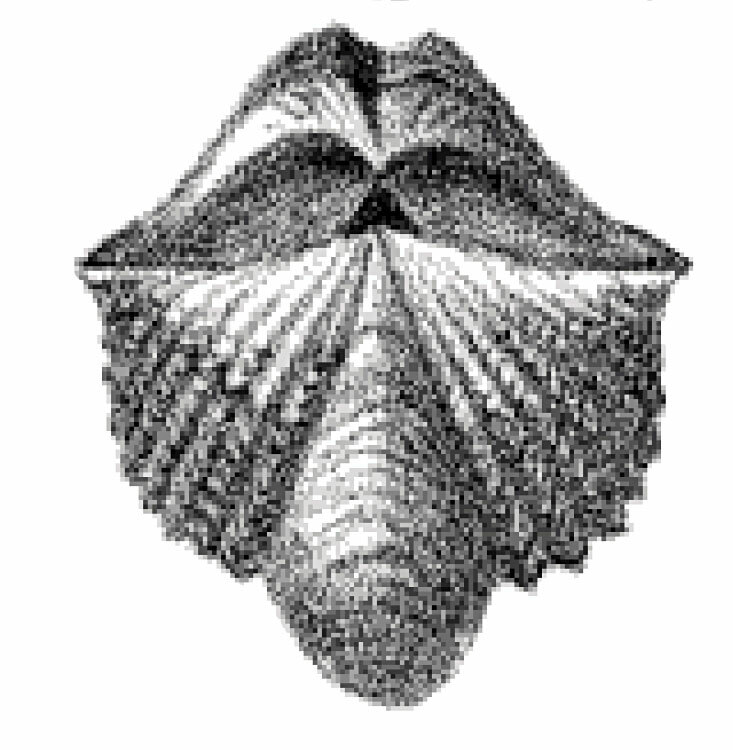 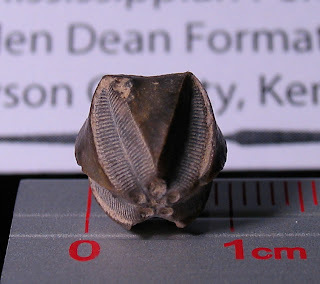 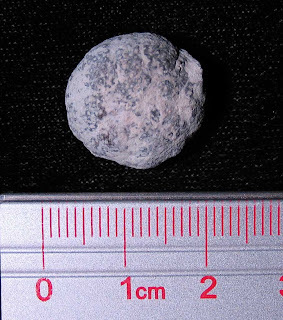 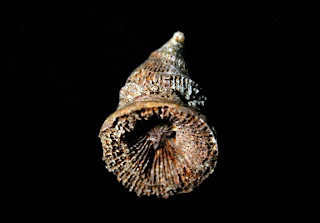 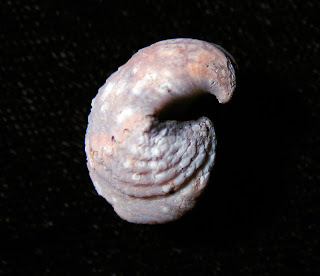 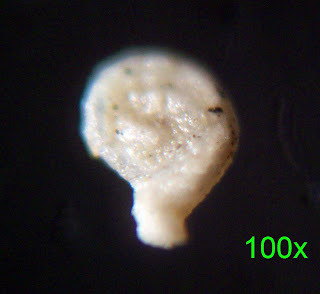 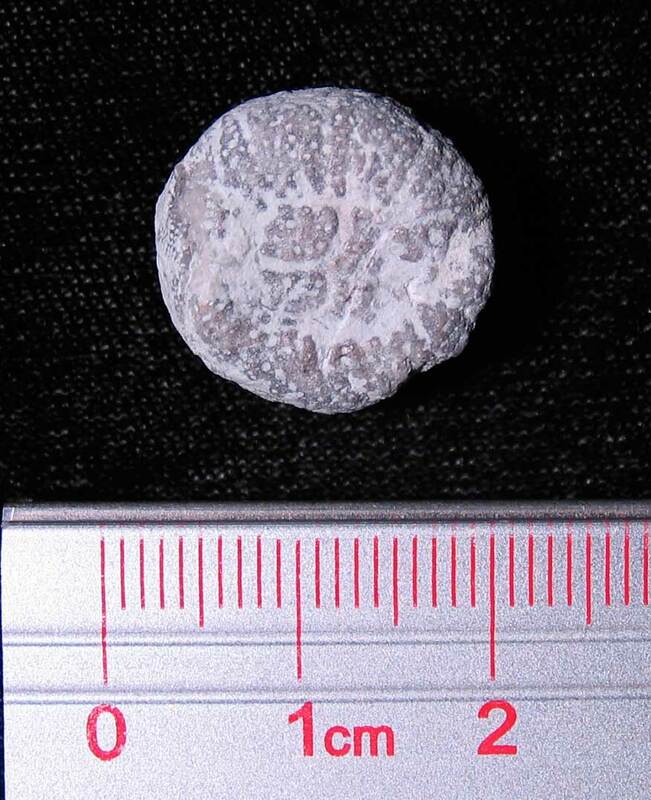 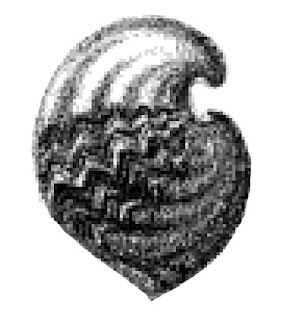 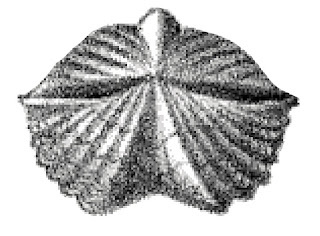 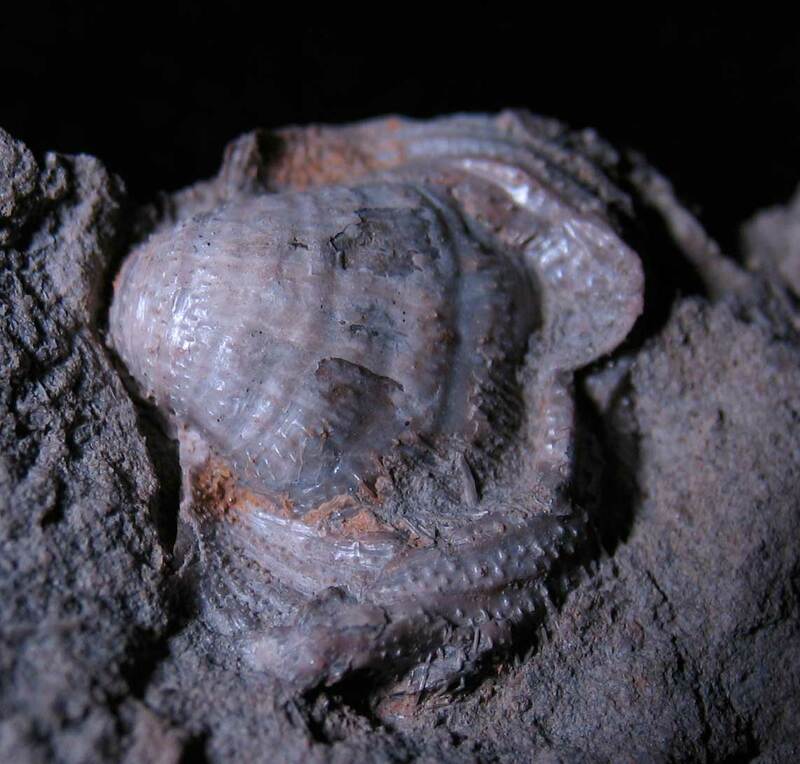 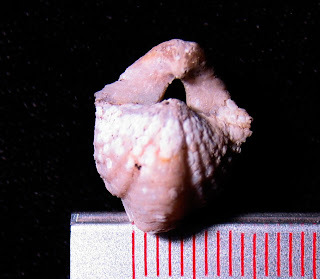 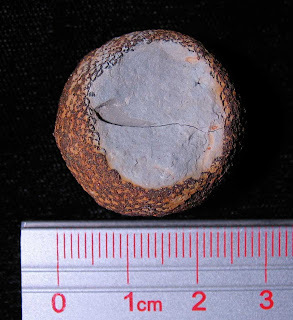 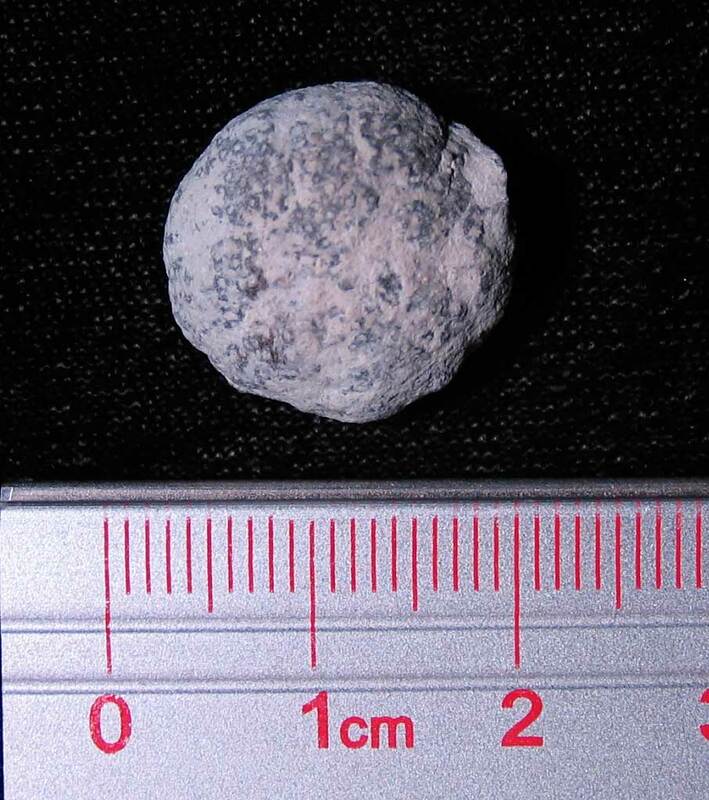 This fossil brachiopod is one of the larger ones I have found from the Mississippian Period. 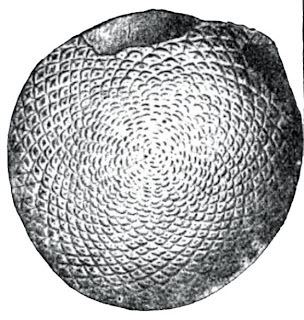 It was found in Indiana and shows evidence of once having been covered in spines. 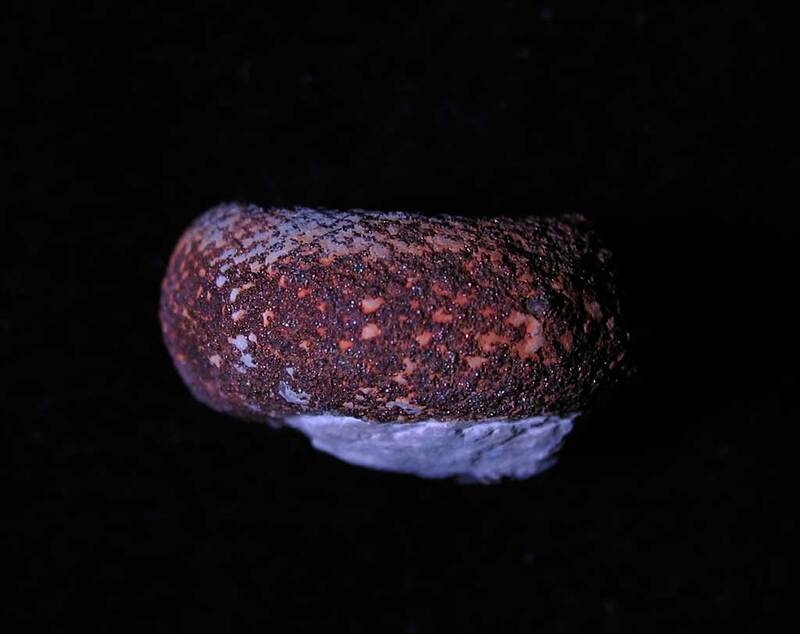 It might be a Dictyoclostus or Productella. 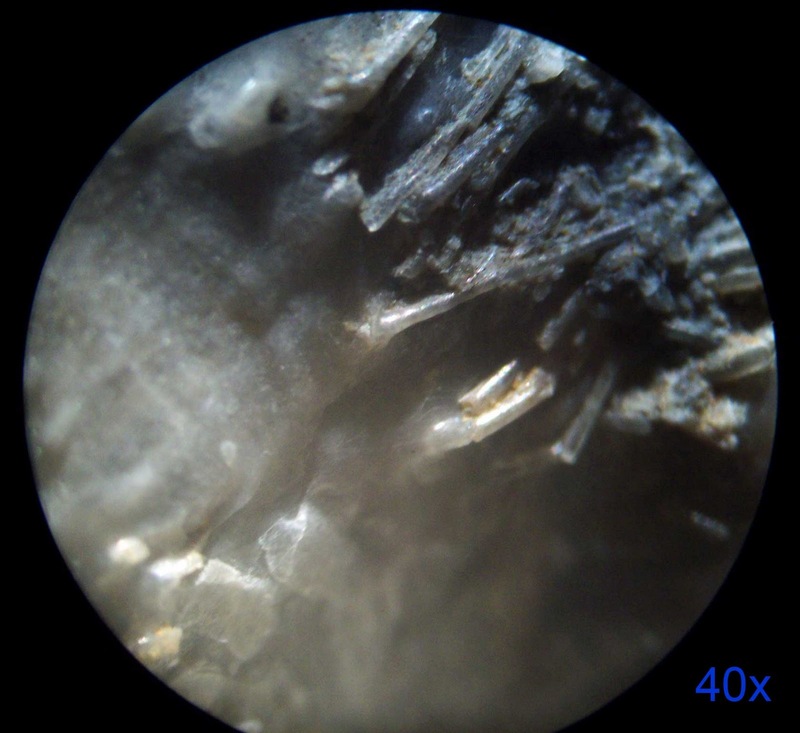 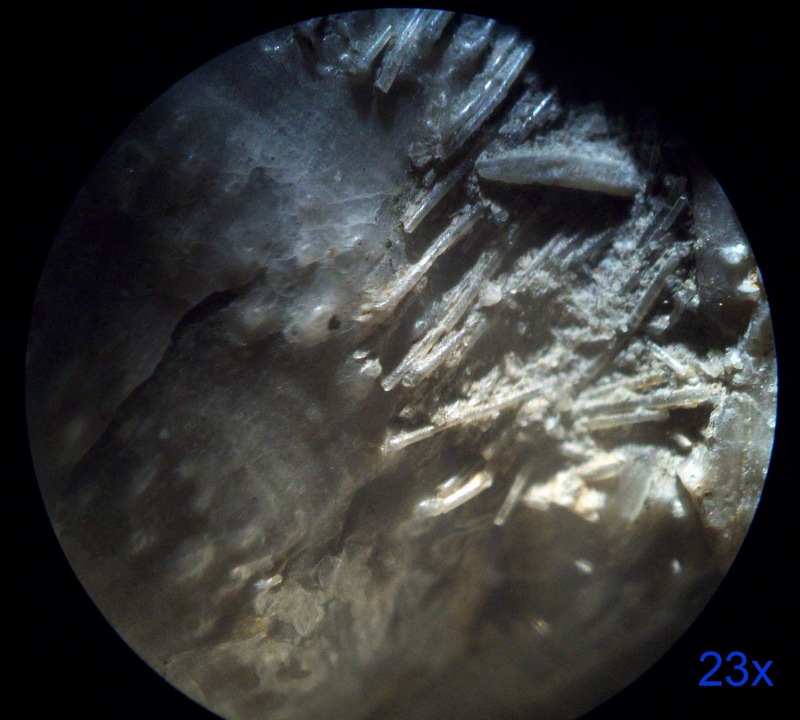 Other pictures in this posting show magnified views of the spines. 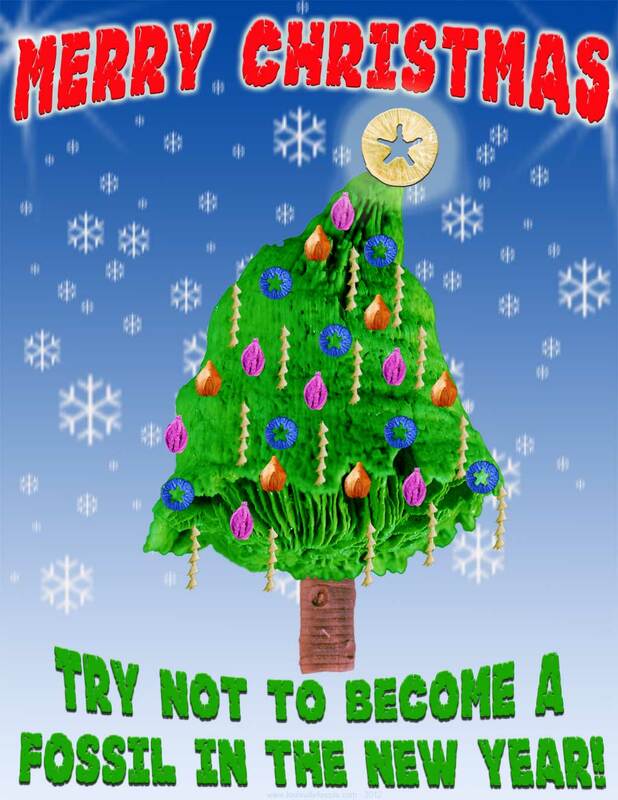 Merry Christmas to one and all! 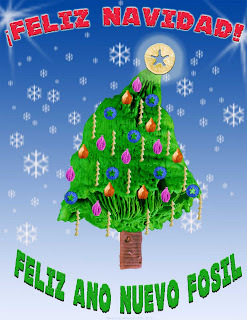 Another Christmas season is upon us and as I have done the last two holidays, a fossil Christmas tree has been created with the aid of Adobe Photoshop. 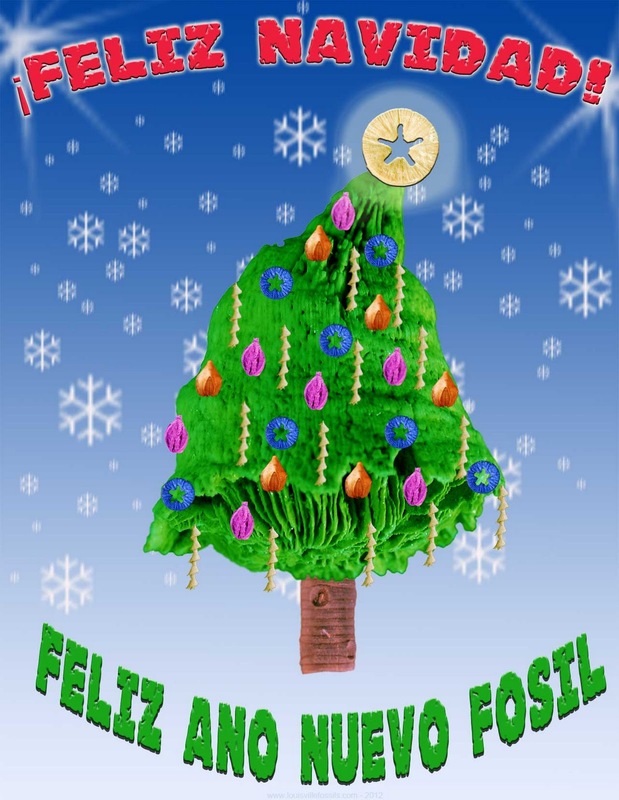 The 2011 tree was made with a combination of seven fossils from the Paleozoic Era. 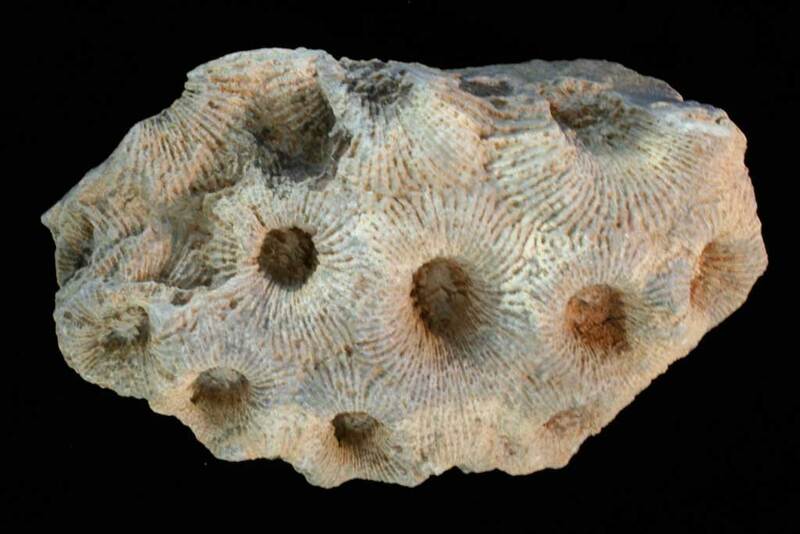 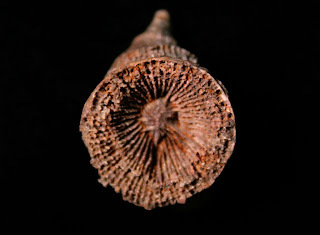 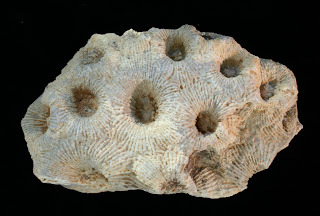 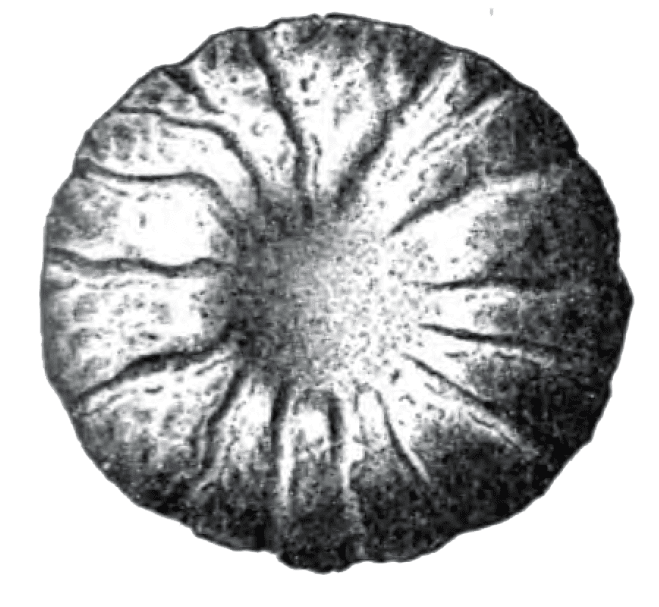 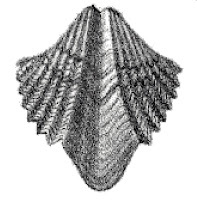 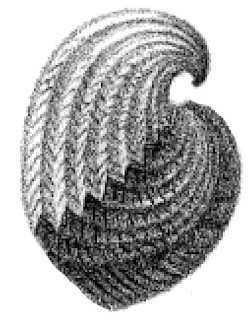 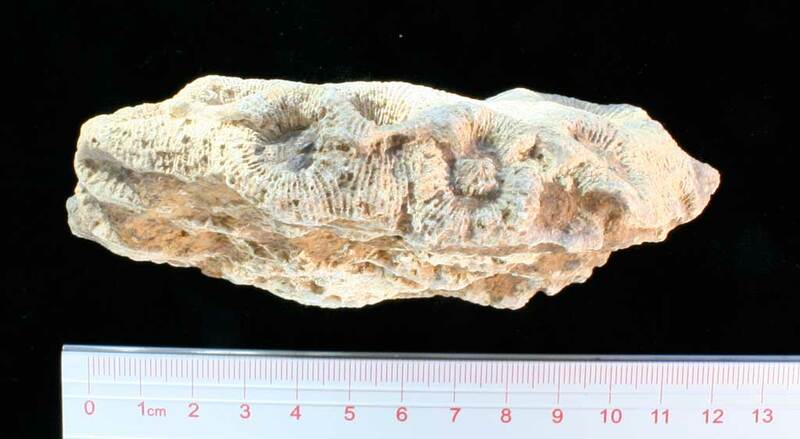 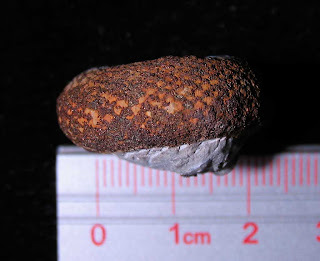 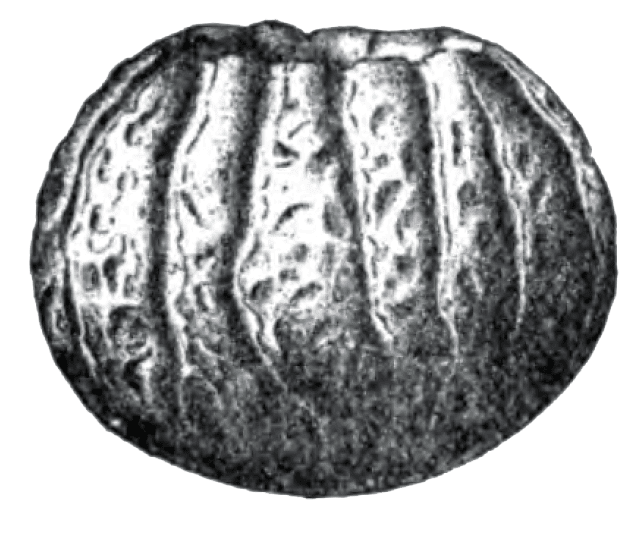 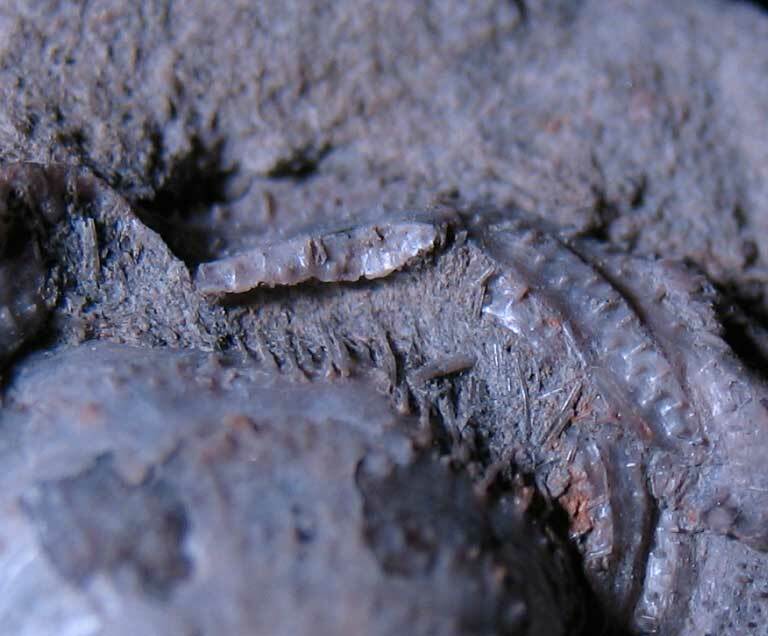 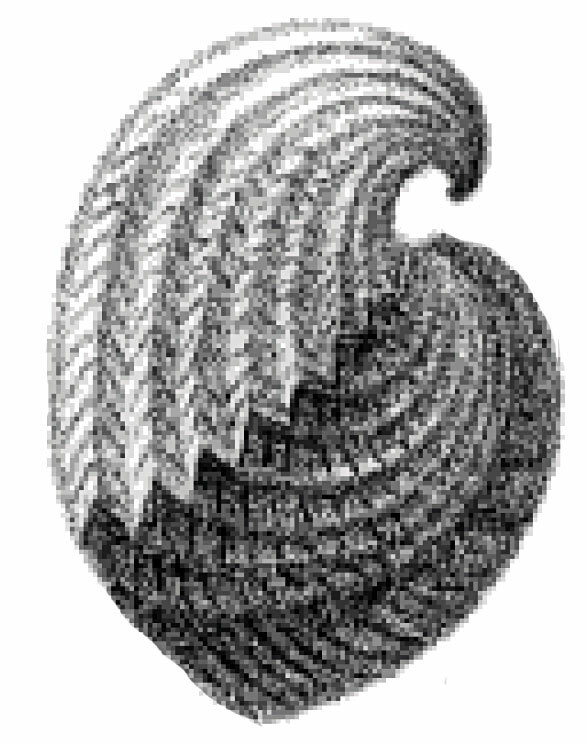 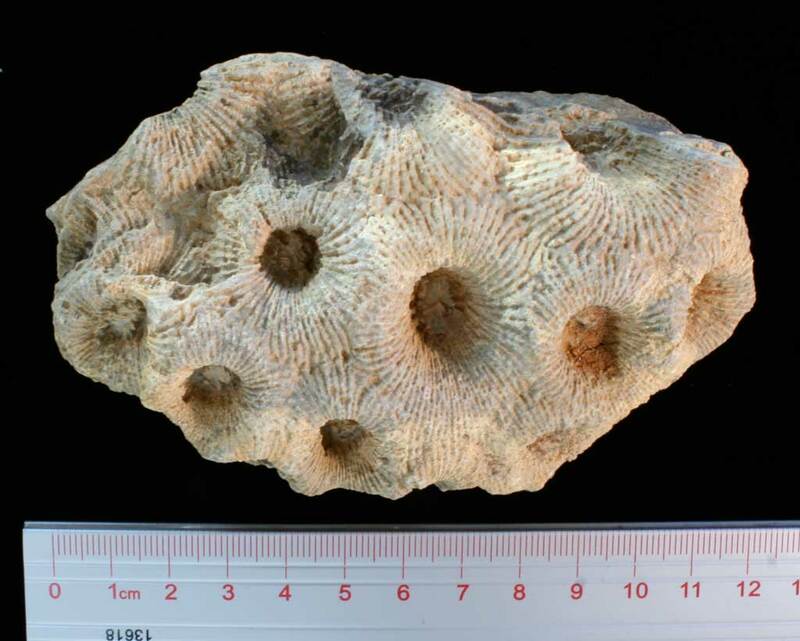 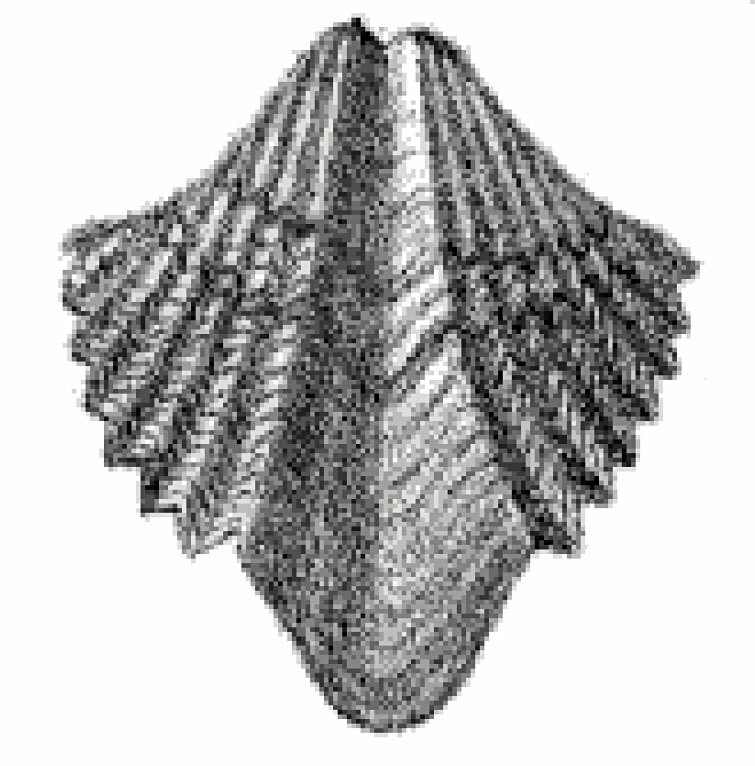 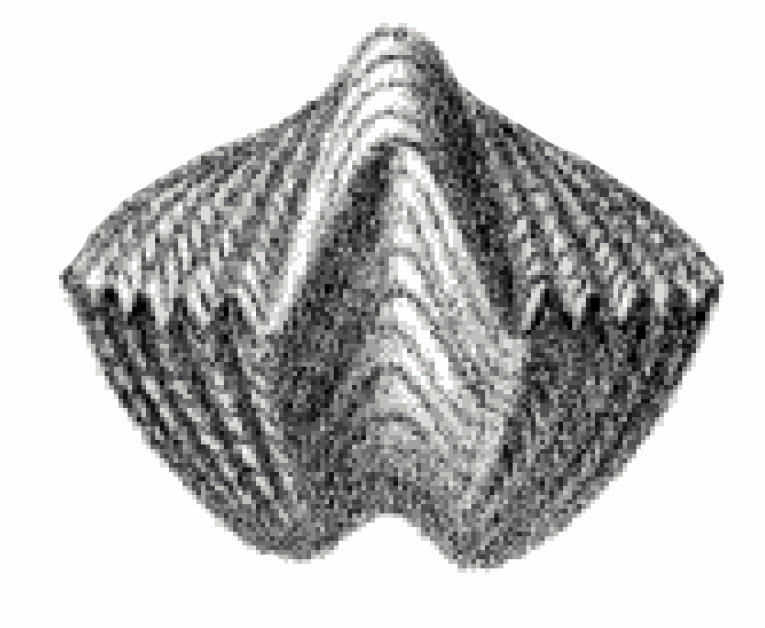 The Devonian period contributed the horn coral which makes up the body of the tree and crinoid stem that makes up the trunk. 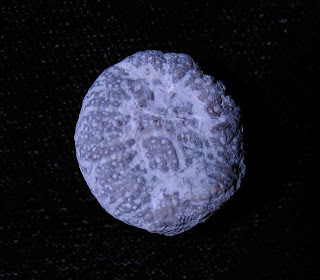 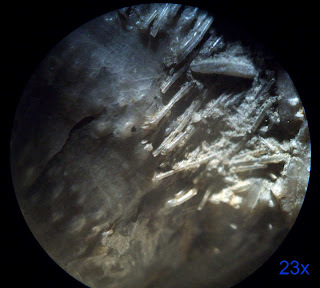 Both were found in the Jeffersonville Limestone of Clark County, Indiana, USA. 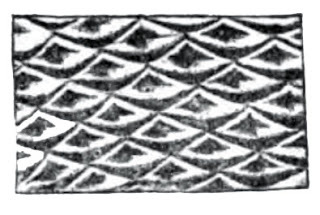 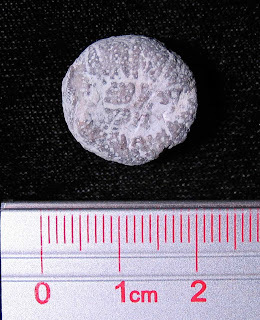 The star patterned crinoid stem segments make the top star and ornament. Thanks to Kenny for finding those in the Mississippian Period Borden Formation of Clark County, Indiana. 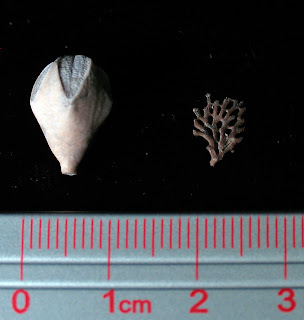 The screw shaped icicle decoration is an Archimedes bryozoan and the orange tear shaped ornament is a Pentremites blastoid. 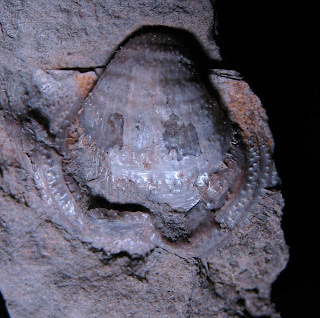 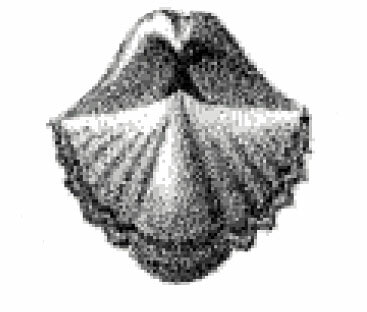 Both fossils are Mississippian in age and were found in the Indian Springs formation of Crawford County, Indiana. 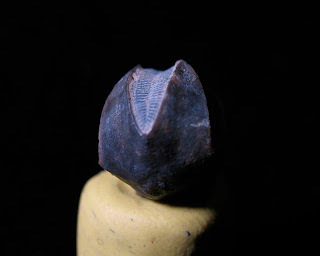 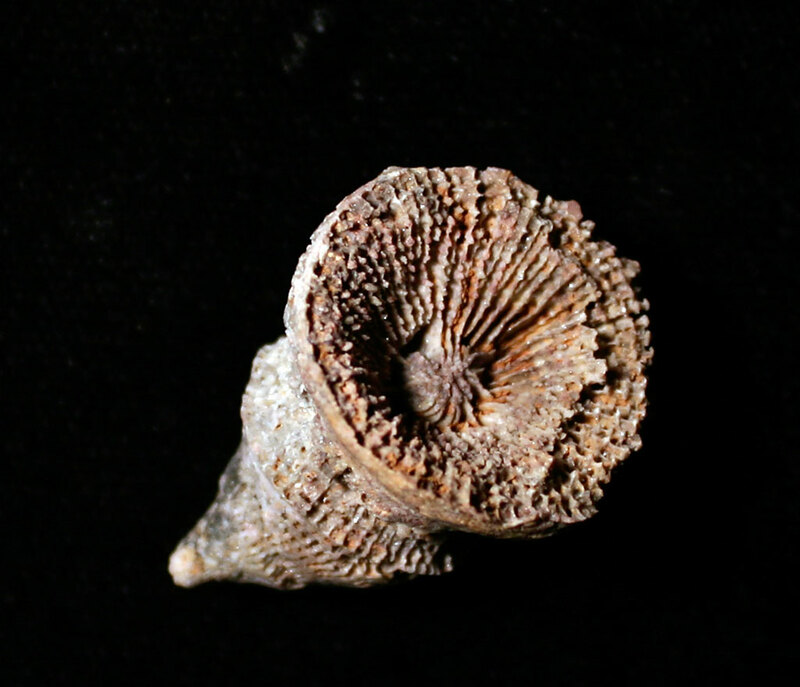 The purple elliptical ornament is a Mississippian crinoid stem segment found at Lake Cumberland, Kentucky. 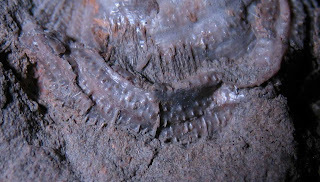 See picture at bottom of posting to see actual fossil appearances. 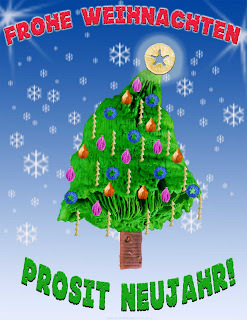 Two more tree versions were created on in German and another in Spanish for some of the non-English readers on the Internet. 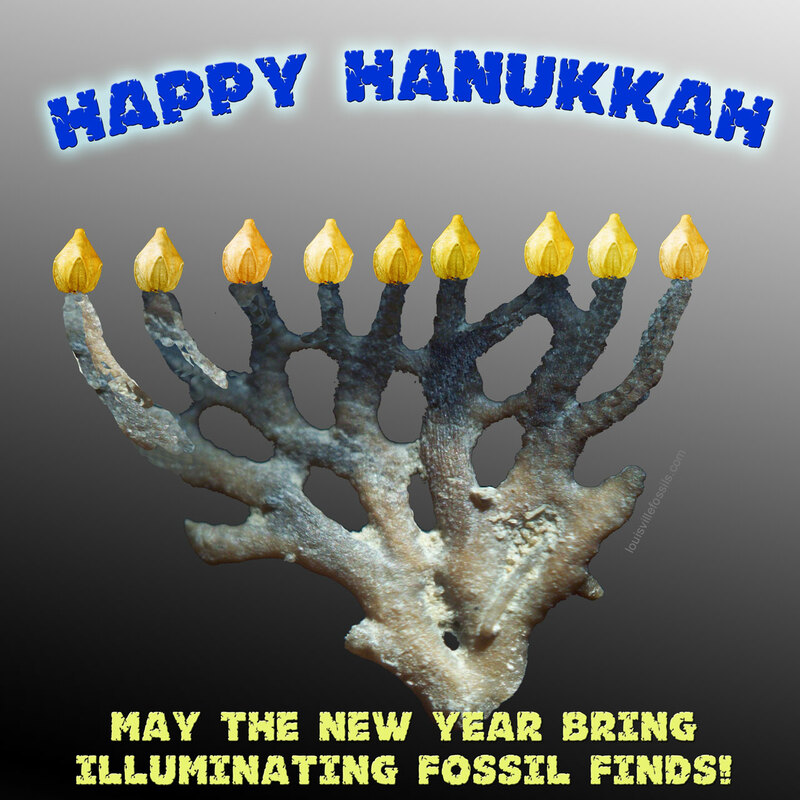 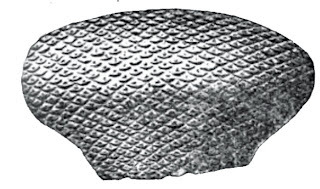 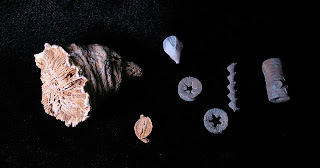 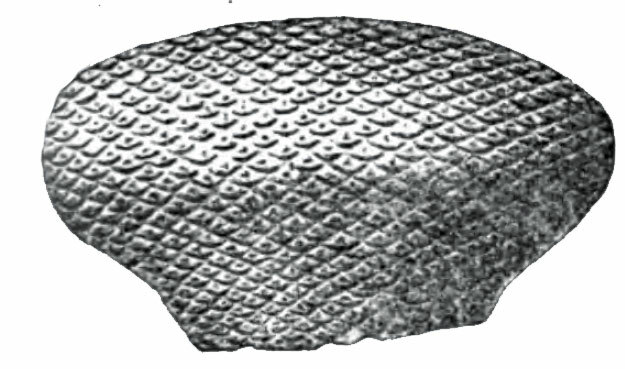 The picture below shows the fossils used to create the Christmas greeting graphic.